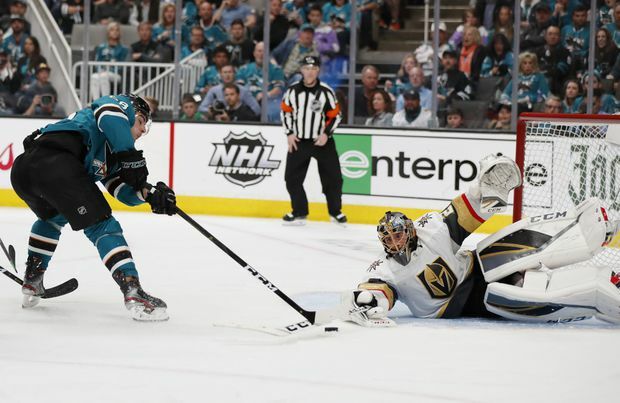 Vegas Golden Knights goaltender Marc-Andre Fleury turns away San Jose Sharks forward Timo Meier during Game 2 on April 12, 2019. The Golden Knights posted a 5-3 victory to even the series at one game apiece. Miller played in place of Nick Holden after sitting in the opener. He scored the short-handed goal, but also took two penalties. ... Jones has been pulled in five of 14 career starts against Vegas.